K3 HYGIENIC SERVICE gives free consultancy service to evey one, who is interested to know. Size :Ranges from 1/8-inch to more than 1/4-inch in length. The most commonly encountered species are found at the smaller end of this size scale. Color :Ranges from black to dark brown to red and black. The smaller species are typically uniformly dark in color. A larger species, common in Texas, is red and black. We have offer to General disinfestations services (Combination of Gel and Spray) to Control household crawling insect like Cockroach, Silver-fish, Spider, Ants, Carpet Beetle, House Cricket, Lizards, store pest, ticks etc. which are cause a number of health effects and diseases. 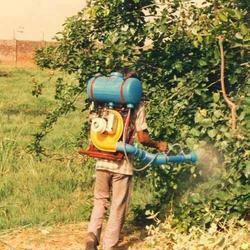 Backed by our dexterous team of professionals, we provide reliable, efficient, ethical and safe pest control services. 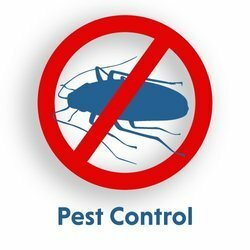 Our services are executed with proper inspection to ward off cockroach, rats, mice, flies, ants, ticks, spiders, termite etc. These are provided for both commercial and residential establishments and the quality chemicals are used to provide odorless and non-staining action. Pest Control, Making Your Premises Pest Free, Rodent, Termite, Woodborer, General Disinfections, Anti Termite Treatment [Monthly / Quarterly]. Mosquito control is the task of managing the population of mosquitoes to reduce their damage to human health, economies, and enjoyment of mosquito-ridden areas. Mosquito control is a vital public-health practice throughout the world and especially in India because mosquitoes spread many diseases, such as malaria, dengue and Chickengunya. We shall carryout this treatment by sticking harbel gel in each and every corner of the premise for cockroaches control. It will take 21 days time to eradicate the problem. You need not have to vacant the kitchen or have to keep premises closed. 90% result will be there in 3 days, for full control it will take 21 days.